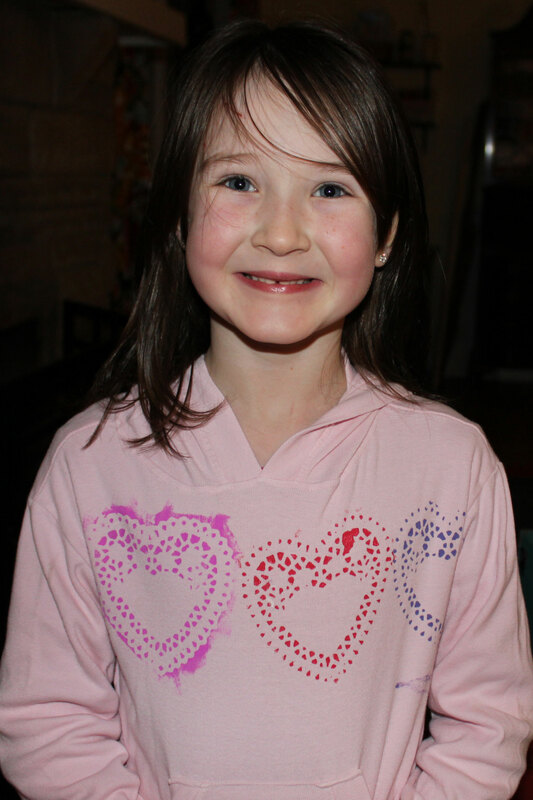 Dorothy and I made lacy heart t-shirts for ourselves to wear today. I’m pretty sure I read this idea in Family Fun magazine, but when I went to their website to search all it would show me was an ovulation calculator (let me talk about the Top Ten things I am not interested in right now…an ovulation calculator is waaaay up there!) link over and over and a bunch of stuff I was not interested in. Were they always owned by horrid Parents magazine? Maybe that is the problem. But now I’m rambling and showing no love…on Valentine’s Day even. Since I can’t find a link to the article I got this idea from, I’ll just explain. 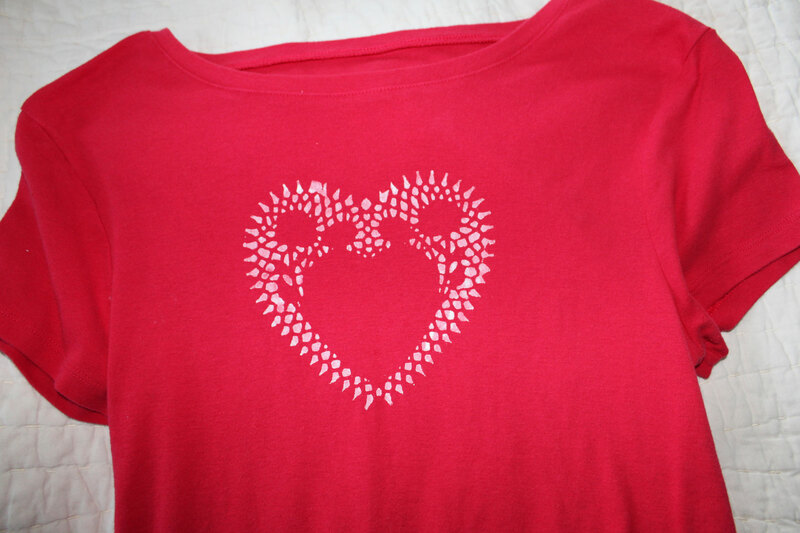 We took paper heart-shaped doilies and adhered them to our shirts with low-tac adhesive. We dabbed fabric paint in the doily cut-out areas, let them dry, then peeled off the doilies themselves, revealing the pretty designs. Dorothy had trouble picturing what we were doing, which is why she began dabbing paint all around her heart on the first one, but then she caught onto the vision. We’re doing to enjoy wearing these today.